FINALLY HERE IN A LIMITED RUN BURNT BRONZE VERSION! The long range-low recoil exciting new 224 Valkyrie caliber with the quality and accuracy of LWRC! LWRC’s DI (Direct Impingement) is made with excellent craftsmanship and design. Built from the ground up to be more than just another direct impingement rifle, the LWRCI DI delivers the quality every rifle enthusiast demands. It features an ambidextrous charging handle and selector with short right-side lever, enhanced fire control group and trigger guard, and index plate with ambidextrous QD sling mounts. Engineered for high performance and extreme accuracy the LWRCI DI Valkyrie 224 design includes a 16″ M-LOK free-float handguard, cold-hammer-forged NiCorr-treated heavy barrel, monoforge upper receiver, full ambidextrous lower controls, four (4) port enhanced muzzle brake and Magpul fixed MOE rifle stock. This model has a 20.1″ barrel, burnt bronze cerakoted finish, and snakeskin pistol grip with sight tool and battery storage. The 224 Valkyrie cartridge was pioneered by Federal Premium® Ammunition to offer the best ballistics of any caliber based on the 223/556 case dimensions. It delivers supersonic velocities at as far as 1,300 yards, extremely flat trajectories and match accuracy. Plus it produces only half the recoil of larger cartridges needed to achieve comparable trajectories. Ammunition is now available from several manugacturer including Federal and Hornady. FINALLY HERE! The long range-low recoil exciting new 224 Valkyrie caliber with the quality and accuracy of LWRC! LWRC’s DI (Direct Impingement) is made with excellent craftsmanship and design. Built from the ground up to be more than just another direct impingement rifle, the LWRCI DI delivers the quality every rifle enthusiast demands. It features an ambidextrous charging handle and selector with short right-side lever, enhanced fire control group and trigger guard, and index plate with ambidextrous QD sling mounts. Engineered for high performance and extreme accuracy the LWRCI DI Valkyrie 224 design includes a 16″ M-LOK free-float handguard, cold-hammer-forged NiCorr-treated heavy barrel, monoforge upper receiver, full ambidextrous lower controls, four (4) port enhanced muzzle brake and Magpul fixed MOE rifle stock. This model has a 20.1″ barrel, black hardcoat anodized finish, and snakeskin pistol grip with sight tool and battery storage. Price: $2,584 Credit, $2,532 Cash. Free UPS Shipping! BACK IN STOCK! Top of the line model from the, arguably, best Ar-15 manufacturer! The LWRC IC-A5 is the top model in the LWRC IC (Individual Carbine) product line. Customers desired and requested an adjustable gas block and the longer 12” SPR style rail system on the same rifle. LWRC listened and fulfilled that request. The IC-A5 has a low profile 2 position adjustable gas block which allows the user to compensate for running a suppressor while getting the added benefit of a longer modular rail system. A spiral fluted version of LWRC cold hammer forged barrel is standard on the 14.7” and 16.1” barrel lengths. The spiral fluted barrel is approximately 15% lighter than an unfluted barrel of the same diameter. The increased surface area also speeds cooling. The upper rail section on the IC-A5 is an aesthetically pleasing special cutback version which allows us to use the low profile gas block and at the same time keep the full 12” modular rails available on the sides and bottom of the hand guards (three short rails provided). This IC-A5 brings together features of both industry favorites the IC Enhanced and the IC-SPR in one package! ALSO AVAILABLE IN 14.7″ wit $100 Instant Rebate. Features: Direct Inpingement. Collapsible Stock. 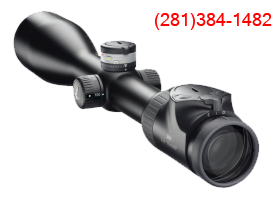 Recommended Scope: Nightforce 2.5-10x 32 or 42. Aimpoint T-2. ALL NEW. ALL LWRCI™ Your favorite high-end AR platform now in the traditional (and cost saving) direct impingement system! You know the commitment to craftsmanship and design excellence that comes with every LWRCI rifle. And the new DI is no exception. Built from the ground up to be more than just another Direct Impingement rifle, the new Di delivers the quality the discerning shooter demands, and innovation you expect from LWRCI. All with an operating system that’s been around the world and back.